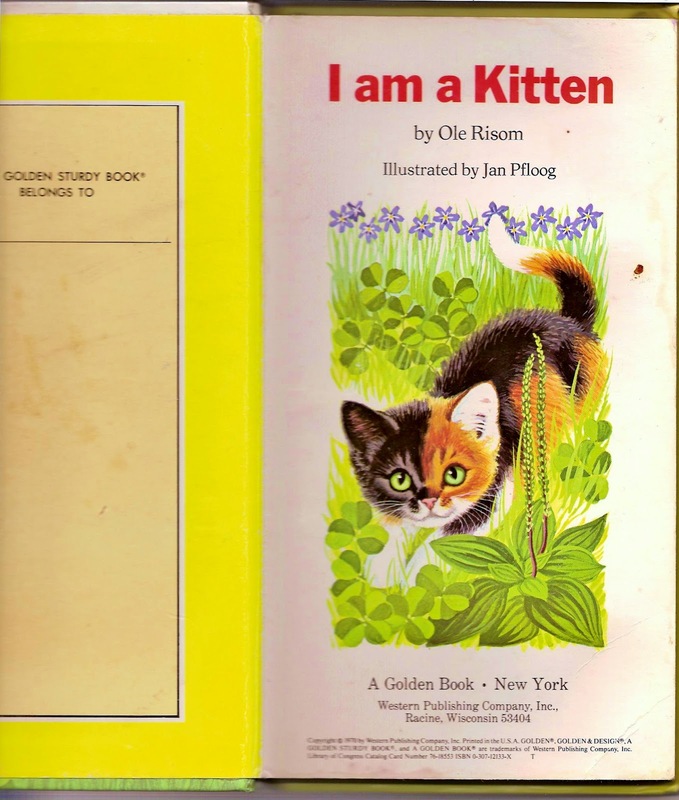 I Am A Kitten (A Golden Sturdy Book) by Ole Risom. Illustrated by Jan Pfloog. Western Publishing, 1974. "I am a kitten. My name is Kate. 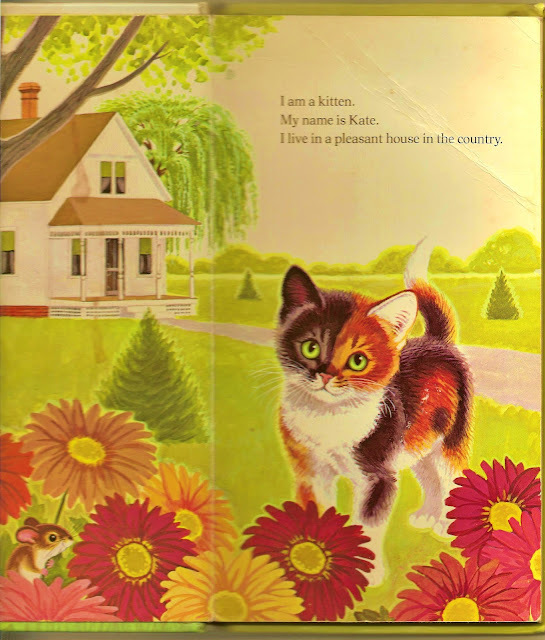 I live in a pleasant house in the country." 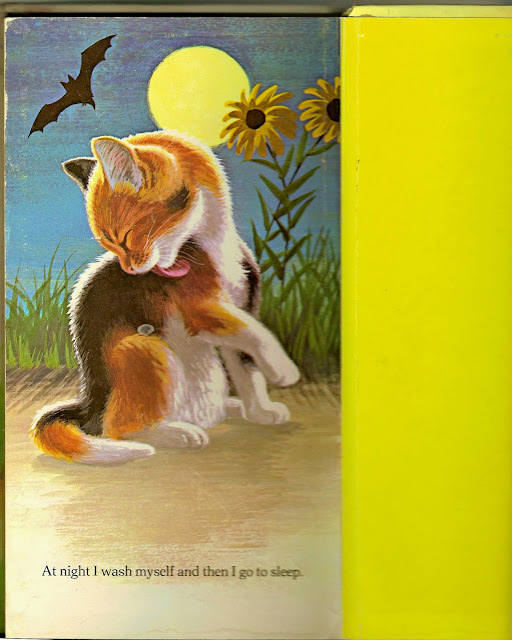 When I started my bookstore job, I spent a lot of time looking up books I loved as a kid, wondering if they were still in print. Alas, this Golden Sturdy Book was not. I remembered it fairly well. My parents still had it memorized from all the repeat readings. When Big Sis was born, my mom gave me a bunch of old clothes that had belonged to me as a baby. Then my brother gave me a bunch of his old books. I had forgotten that my brother (who is 10 1/2 years younger than me and didn't live with me) had some of my childhood books. I'm sure I gave them to him. I love it when something lost is found again. 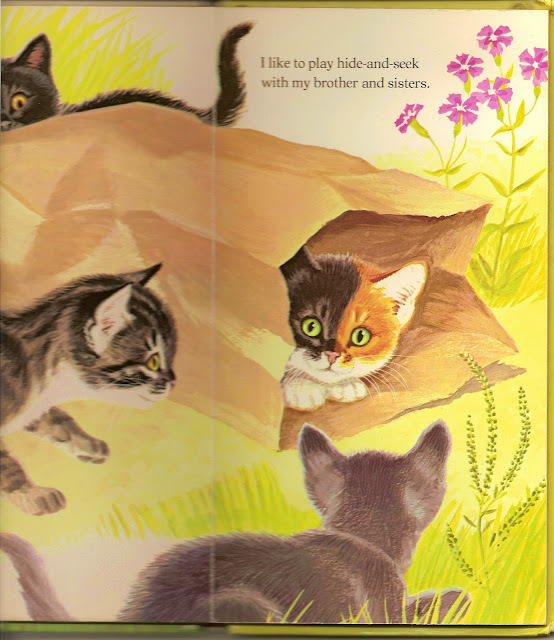 Sidenote: I had lots of cats as a child. One was named Kate. 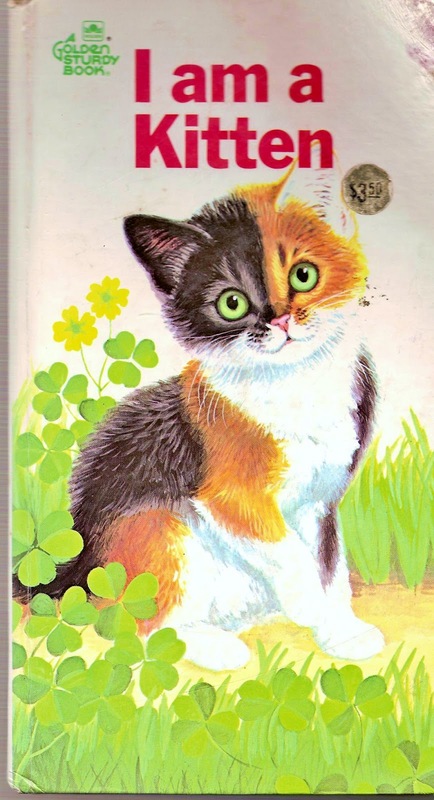 Years later, my mom had another cat named Kate. When I met my husband, he had a Siamese. Her full name is Katharine of Aragon (named for a punchline on Frasier), but called Kate or Katie. We still have her. She's getting old, but she's still awesome. EDIT: By the way, to see a couple more Golden Sturdy Books from around this time period, check out this post on my bloggy friend Leanne's blog Vintage Books for the Very Young. :o) I should connect this post to your sturdy books post. I think I'll edit this one to include a link. Good luck! I haven't run across another one myself yet. My copy is very well-loved. oh the cuteness!! 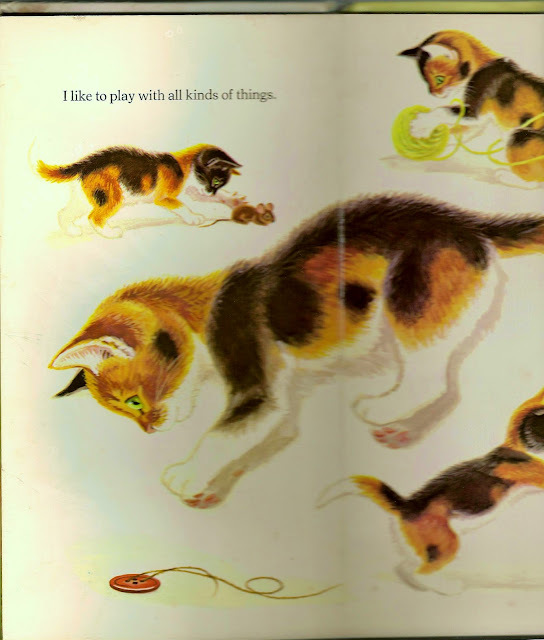 I do that too, looking for the more obscure books I had as a kid -- one took me 10 yrs to find b/c I couldn't remember the title (The witch family by eleanor estes) and I finally found some stump the bookseller site where this guy answers questions for people looking for random books they can't remember the titles of!